One of the most commonly done things, is whats called a remap. No two engines are the same, small differences in tolerance can affect not only the way an engine runs but also the performance and econemy. 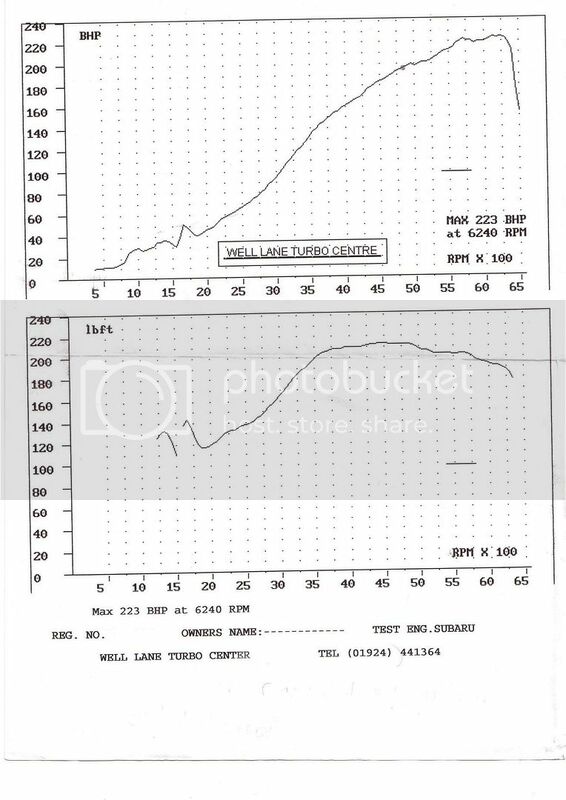 Due to the nature of engine, and the slight variations in tollerance, the generic maps have to be set so if the engine runs slightly lean (more air than fuel in the burnign mixture) or slightly rich (more fuel than air) causing the engine to not run correctly or actually damage itself, therfore they are set to a certain range rather than a specific level. By remapping the ecu, the anomilys and modifications done to the engine can be used to full potential rather than a generic medium. My car is a MY00 UK turbo impreza. The cars was put on a rolling road diagnostic machine which reads power out puts and sensor readings from the ecu (if connected correctly) before it was mapped the car was running the standard 215bhp/214ftlb of torque. one of the things highlighted by the run was that there were a few issues within the map of the ecu, hence seeing the slight wave at the top and bottom of the curve. But the run did show that the removal of the cat had increased the power to 223bhp. to remove the error in the map i decided to have it remapped to custom settings. once the custom map was done, the car ran 240bhp and 240 ftlb of torque up 25bhp and 25ftlb and alot of the waves at the top and bottom were mapped out, or corrected. 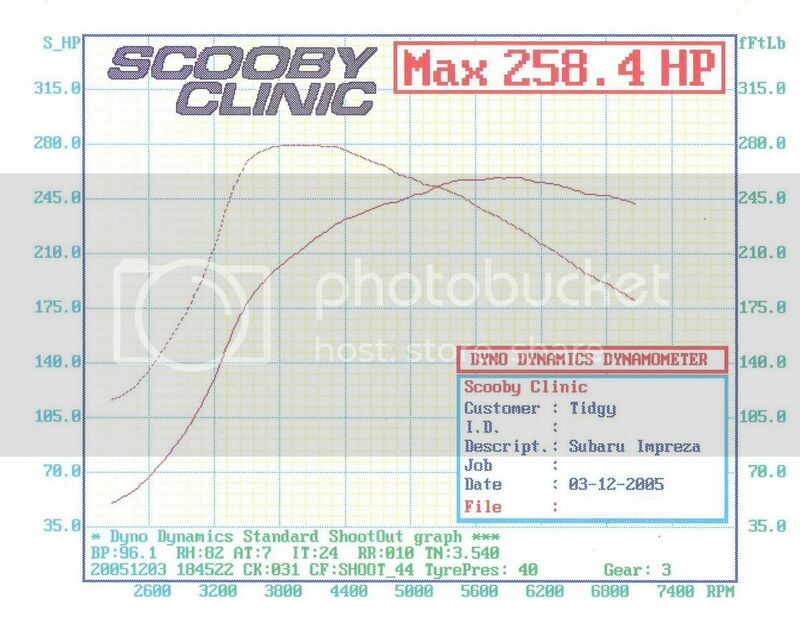 few weeks later i had the final cat removed from the downpipe, and the following graph was produced. the car had to have the map slightly altered due to the turbo charger spooling up quicker because of the restriction in air flow being caused by the cat had been removed. The car ran 258bhp and 280ftlb, 44bhp and 66ftlb up on power compared to standard. admitled alot of the extra power came from removing the cat but approx 50% of the additional came straight from tweeking the map to suit my cars engine. Something to bear in mind about maps is that no two engines are the same, they never have exactly the same sizes of parts, therefore no one map will work the best on two cars. Last edited by skylight; 07 Nov 2006 at 09:52 AM. most impresive, glad to hear your cars running well, im fitting a few new parts to my 95 uk and ill need a remap too, how much does it cost? Last edited by uk dave; 19 Sep 2007 at 07:51 PM. will they REMAP cars with high milage? ?, or is they a limit? well andy mapped mine at 102k with no probs what so ever but i suppose it really depends on the state of the engine and whether its been looked after etc. awesome, well i had my uk turbo at 62k but now its up to 114k, i just love driving her! ha ha, its well maintained and still has great oil preasure ,so she should be good for the rolling road. but i just wonder how and if they can do anything to my car with remaping? or will they say i gotta spend a wedge of money of injectors and boost sensors first? ? 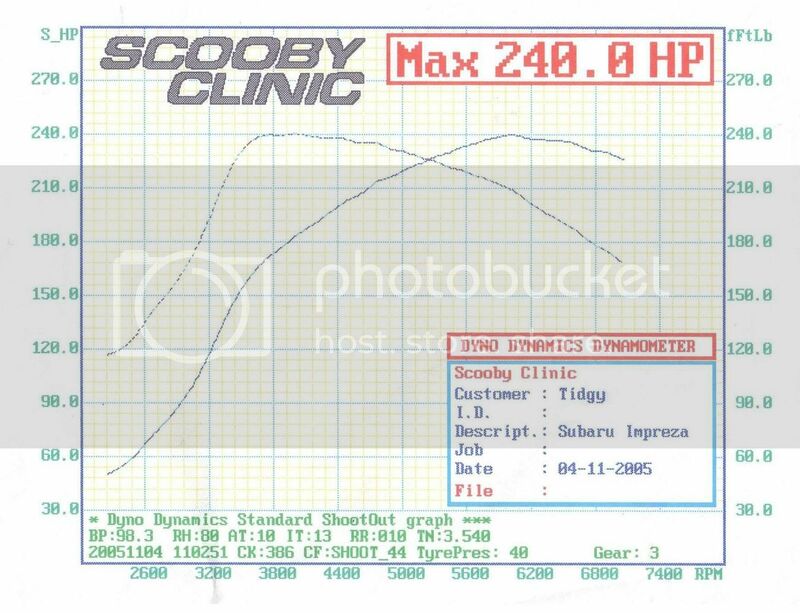 mileage isnt really a problem with the scoobs as long as they have been well maintained. Obviously as with any car there is going to be wear and tear. Cars are designed for 200k or 10 years life span as a rule of thumb so 114k just over midway for an engine thats been looked after. dude!, after seeing how awesome your car looks with coilovers, i went out and got some too, fitted them yesterday, o my god, it feels like a totally different car, awesome handling!, like its on rails, (thanks for giving me the push) i just need a good fitting front mount intercooler now. can you recomend one? I got mine from ebay m8, just over 200 squid for the whole kit. Just be prepared for the whacking and hacking of the front end of your motor. On your tod it will take 10 hours but if your mates are there, then you can bring that down to 6 assuming you can find all the nuts and bolts that hold the bumper on etc. Just be prepared for cutting a hole in the inner wing next to the air filter, and the massive cut in the bumper where everything goes lol Its amazing how much comes off to accommodate the intercooler. The bumper is the hardest part, you will need a dremel at least and unless you are a god with a rotary tool its probably best to get some edging strip that matches the colour of the car to cover the edges where you cut.